Follow along as The Atlantic reports on the shortlisted books for the next five weeks. Nobody knows how to run a literary competition like the British do. Just look at the Man Booker Prize, which today announced this year’s shortlist of six nominees for the best novel written in English by a citizen of the Commonwealth or the Republic of Ireland, and published in the U.K. during 2013: We Need New Names by NoViolet Bulawayo, The Luminaries by Eleanor Catton, The Harvest by Jim Crace, The Lowland by Jhumpa Lahiri, A Tale for the Time Being by Ruth Ozeki, The Testament of Mary by Colm Tóibín. As the prize has proved over the past 44 years, it isn’t just a matter of anointing many excellent books. It’s about delivering crowd-pleasing entertainment along with prestige. Man Booker has the formula down: Generate controversy, exclude Americans (it gets our attention), and prolong the suspense. Today’s announcement is the last phase of a drawn-out quest. Since January, the committee of five judges has considered 151 books, reading (or at least flipping through) some 40,000 pages. 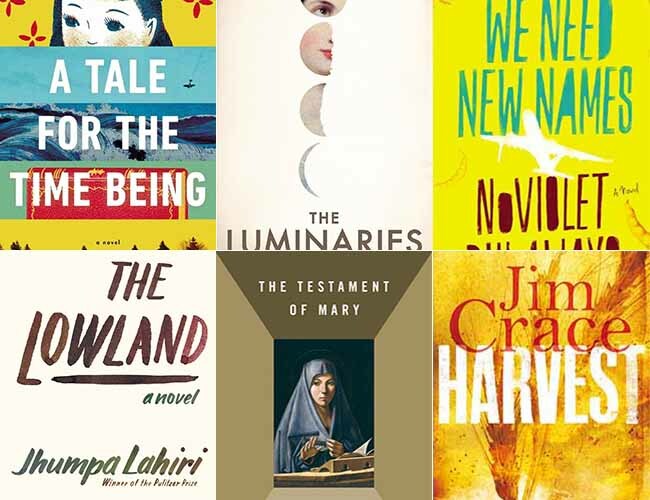 On July 28, they came up with a longlist of 13 novels—“surely the most diverse” ever, the chairman said. This is a committee evidently eager to be accused neither of crassly favoring mere “readability” (the controversy of 2011), nor of stodgily backing predictable names (the Guardian high-spiritedly champions the “truly democratic, reader-judged” Not the Booker Prize). Five weeks from now, on October 15, one of the books will earn its author £50,000 and even more international success than the five other finalists are likely to enjoy, too. While the bookies are busy taking bets (the Man Booker isn’t quite the draw that royal baby naming was, but …), we’ll bring you a weekly bulletin, starting today. Three of my colleagues have divvied up the six contenders and will report on their reading. They may also note any critical sniping of interest—and perhaps include wistful comments on some nominees who got left by the wayside. Jake Flanagin, Joe Pinsker, and Clare Sestanovich, who have already been dabbling in the longlist, will give you fresh word on a shortlist that, it turns out, isn’t so un-American after all. It includes two writers who have called the U.S. home (Lahiri and Ozeki) and one who lives here now (Bulawayo, who’s originally from Zimbabwe). It also includes one (Catton, a New Zealander) whose novel isn’t yet out in the U.S. but will be soon. Follow the posts, perhaps even read along, and you can be (or at least sound) highly informed when the winner is announced at last. Read the first installment, on Jim Crace's Harvest, here. Read the second installment, on NoViolet Bulawayo's We Need New Names, here. Read the third installment, on Ruth Ozeki's A Tale for the Time Being, here. Read the fourth installment, on Jhumpa Lahiri's The Lowland, here. Read the fifth installment, on Colm Tóibín's The Testament of Mary, here.